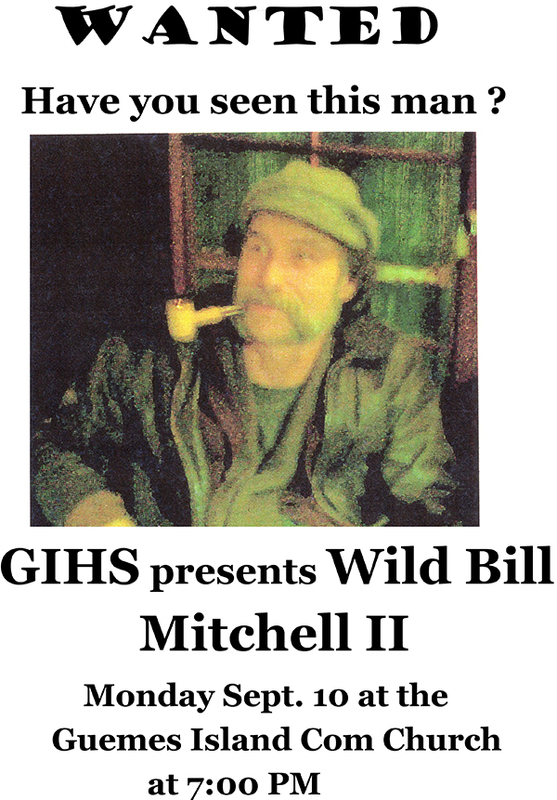 Did you miss “Wild Bill” Mitchell captivating presentation in May? If you were there, do you want to hear more? Don't pass up the opportunity to hear “Wild Bill's” encore performance September 10 at the Guemes Island Community Church. The program begins at 7pm. More than the renowned Mural Artist of Anacortes, Wild Bill has a vast knowledge of local history and deep ties to our isle of Guemes. Come hear more of his family and local history and possibly some very fishy tales to boot!